When using Windows to delete items or files in your computer to create more space in your hard drive, the files are not actually deleted. Your files are temporarily stored by the recycle bin, but if you go further to empty the recycle bin, the files ceases to exist in the recycle bin. Also the recycle bin utilizes a certain amount of its space to store deleted content. When this space is limited, old files are deleted to create room for new ones. That is why you may find your file missing in the recycle even if you never emptied it. Here we will show you how to emty recycle bin on Windows and how to recover deleted files from recycle bin after empty. From the dialogue box on the right hand side of the recycle bin, choose empty recycle bin. From the delete multiple items dialogue box, confirm by clicking YES. You will see a progress dialogue box showing the ongoing deletion process. Items in your recycle bin will disappear one by one. This will only take a few minutes given the number of items in your recycle bin. Note that you can still retrieve your files after the recycle bin has completed deleting them permanently. To retrieve all files, which you had permanently deleted from the recycle bin, you require effective file recovery software. Recoverit is one of the best data recovery tools I know. 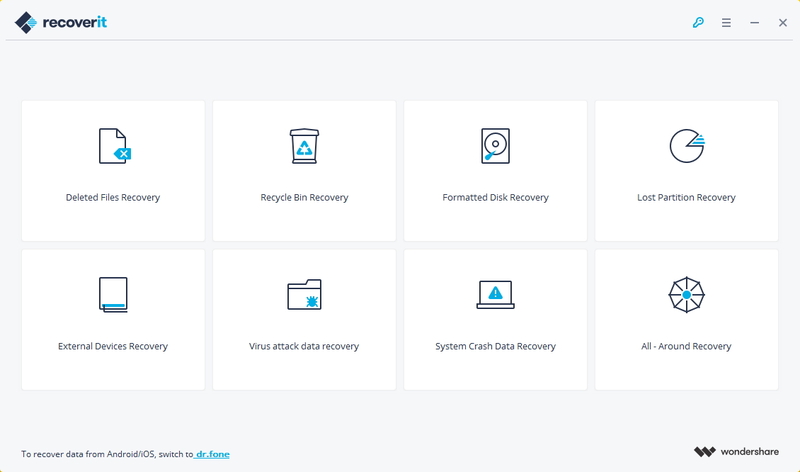 It also allows you to recovers others files which were previously formatted or lost from the computed due to corrupt system and other removable devices like digital cameras, memory cards and flash disks. Download your copy of recoverit for windows, install and run it on your computer. 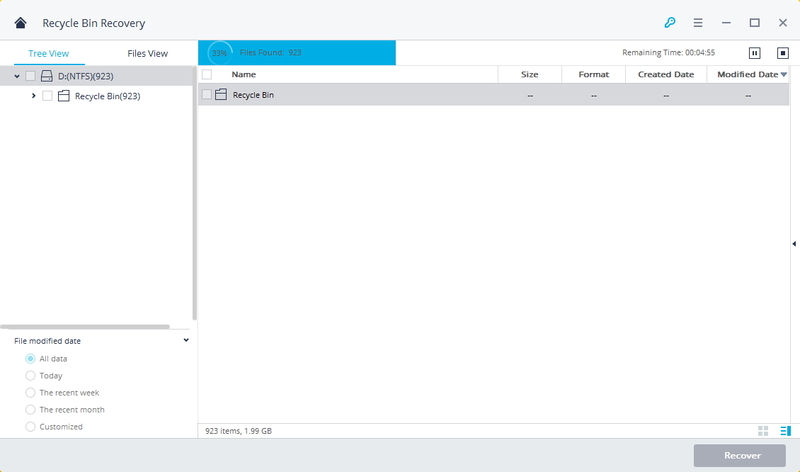 Follow the next steps to recovering deleted files from empty recycle bin. More importantly, DO NOT install this software on the disk where files and data where you can lose. Select data scenario which you want the program to retrieve. You can also select the option "All-Around Recovery" to start. You will need quick scan the empty recycle bin. If the quikc scan can't not find yout deleted files, you can try "All-Around Recovery". With "All-Around Recovery" will deep search more files from recycle bin but it will take more time. If you have selected All files in the previous in step 2, the retrieved files will be shown in file categories like archives, data base, graphics, email, video, audio and the like. These file categories are recovered after previewing. For PPT, RAR, Excel, PDF and photos including and not limited to JPG, PNG and TIF are previewed prior recovery process. Recycle bins are just like any other trash, collection bins you can think of. However this kind of bin is unique since it is digitalized and whatever files trashed can be restored. Occasionally, when the recycle bin is accidentally emptied on the Windows, the items can be recovered using the best data recovery tool. Also due to the limited space in the recycle bin on Windows, it lost old files in the trash when new files are added. Never panic when your files are lost, they can still be recovered. When the recycle bin does not appear on your Windows desktop, it is actually hidden. It is easy to restore it back to the desktop without difficulty. The thing is you don’t need to be computer expert to make your recycle bin reappear. Follow the correct steps and be sure the recycle bin icon will show on your screen. Then, you can empty recycle bin on Windows after.